The release of the Apple HomePod is so close now that you can almost hear Siri's sultry tones beaming out of its drivers. But if you're late to the pre-order party, you're now unlikely to get Apple's smart speaker on its launch date. Initially, Apple had set Friday February 9 as the delivery date for pre-orders of its Siri-powered speaker. But try to order through the Apple online store now and you'll see that date has slipped to between 12 February and 14 February, depending on your territory. With in-store pick-up options also unavailable, it seems that Apple has underestimated demand for the Amazon Echo rival. However, if you're desperate to get an Apple HomePod as soon as it's released, you've still got some options. Third-party retailers are stocking the HomePod, and can often fall under the radar on major Apple launch days. You may not get the kudos of a pat on the back from an Apple Store Genius staff member, but you'll at least likely be able to walk away with the device on its release. 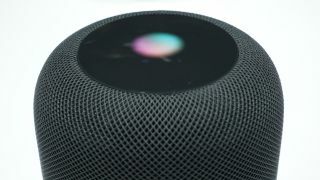 With early reviews for the HomePod highly impressed by the HomePod sound quality, but not Siri's smart capabilities, there's an argument for waiting a little longer for the product to mature anyway. Our full review will follow shortly.